Director of Parent and Teacher Education: Michelle Ryder Schoeck, MA, Ed.S. New official guidance for Missouri School Districts on Identifying and Serving Traditionally Underrepresented Gifted Students influenced by Dr. Coxon and the success of the Maryville Young Scholars Program. Giftedness is a special need characterized by very high ability in one or more areas, such as mathematical, spatial, verbal, and creative abilities. When this special need is not accommodated in schools, gifted students are likely to experience increases in depression, behavior problems, underachievement, and perfectionism. Students who are from poverty or who are Black, Hispanic, Native American, or English learners are greatly underrepresented in gifted programs, often by more than 40% (Ford, 2013). This means that students with the potential to be future community leaders in the neediest communities often do not have their needs met in the classroom and end up less well educated than those of similar ability in schools that are predominantly White and middle class. 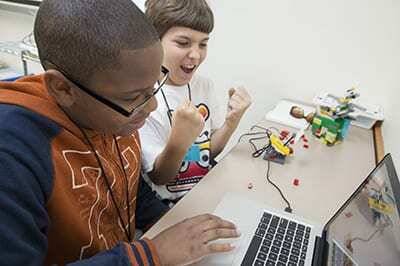 The Maryville Young Scholars Program offers a model to increase diversity in gifted programs. The Missouri Department of Elementary and Secondary Education has agreed to a four-year pilot supporting an alternative pathway for gifted identification. This will formally qualify as gifted many of the high ability children in the Maryville Young Scholars Program. Click here for a PDF of the alternative identification pilot and evaluation procedure. This agreement puts Missouri at the forefront of solving this national problem in education. Early identification: The model identifies the top 10% of children based on school-norms in grades K-3 as “Young Scholars.” All K-3 students at each school site are given an ability assessment, such as the CogAT 7. Additionally, teachers complete a Purdue HOPE Scale for each student. Once identified, students are served through 5th grade with the three primary pathways below. Early identification allows for significant scaffolding opportunities to prepare Young Scholars for gifted programs. At the end of 5th grade, Young Scholars can be formally identified as gifted through an alternative identification pathway: Click here for a PDF of the alternative identification pilot and evaluation procedure. To date, there are 120 identified Young Scholars in our program. Summer and after-school programming: All Young Scholars are invited to extensive, academic summer programs taught by gifted certified teachers within their school districts to help scaffold them toward the challenging levels of work expected in the districts’ existing gifted programs. Young Scholars are also invited to participate in a week of the Maryville Science and Robotics Program on full scholarships. Additionally, Young Scholars may be invited to join Jr. FIRST LEGO League teams or other after-school activities offered at their schools. Parent education: Parents, guardians, and other caregivers of Young Scholars are invited to attend workshops led by experts. Recent topics have included college access, using area resources, read aloud strategies for higher order thinking, and strengthening the home-school connection. Food and childcare are provided. Teacher education: All faculty at Young Scholars school sites are invited to take graduate-level coursework on educating high ability students at their school sites taught by Maryville faculty. Teachers receive textbooks, tuition, and a stipend. This model provides for accountability and deep learning. Identified students are clustered with other Young Scholars in classrooms with teachers who have participated in our extensive professional development on nurturing their potential. To date, more than 50 teachers have completed 2-3 courses, amounting to 90-135 hours of professional development each. We offer other professional development opportunities as well. For example, America’s leading expert on serving high ability students from groups traditionally underrepresented in gifted education, Dr. Donna Ford, led a full-day professional development session for approximately 90 teachers and administrators involved with the Maryville Young Scholars Program in the fall of 2013. A volunteer Maryville Young Scholars Advisory Board consisting of stakeholders in the Young Scholars Program, gifted education generally, and the education of groups traditionally underrepresented in gifted programs formed in the fall of 2013 with the purpose of advising the Young Scholars Program for effectiveness and impact.